The people you meet before, and during, your career can shape what kind of professional future you will have. If you meet the right people, it could lead to success after success, and a life filled with opportunity and growth. But who are these motivational figures? Where do you find them? And what should you be looking for? Let's uncover the people who will be instrumental in helping you forge a great career path. There are good bosses, and bad bosses. The latter won't really teach you much, other than what not to do to be successful. Good bosses, they're fine. They motivate you, know how to build a team, and won't stab you in the back. But a great boss is another story. Most of us will be lucky enough to have at least one great boss in our lifetime, and that person's influence can change the course of your career. A great boss will take you under his or her wing and want you to succeed. They will share every tip and trick they have learned over the years, and become your biggest cheerleader. They may even train you to be their own replacement. Great bosses, like great teachers, leave their mark on you. Cherish your time with this person, and learn everything you can while they are still around. Like great bosses, genuine friends are few and far between. We have our go-to set of mates; the ones we like to go out with to a bar or baseball game. But the friend that you can trust with your secrets, worries, and plans for the future — that's a diamond in the rough. A friend like this will have no problem telling you that your boss is taking advantage of you, or that you're in a dead-end job that is making you miserable. On the other hand, they could give you that push you need to ask for the raise or promotion. And after a really crappy day at work, they'll help you put things in perspective and give you a much-needed emotional crutch. Now, more than ever, a career counselor can be invaluable. Industries are changing, dying, and being born at a lightning-fast pace. Careers that just 10 years ago looked promising could soon be going the way of the dinosaurs, and other industries you may never even have considered are popping up left, right, and center. If you went to a college, university, trade school, or any other kind of learning establishment, tap into that rich source of contacts. Many of the people you met there will have gone on to get great jobs, and will have a network of people they rely upon. Not only that, but your alumni association is also an excellent resource. The services they offer go far beyond social events and newsletters. Reach out to them and you will get advice on career choices, as well as access to business prospects and friends of the alumni who are only too happy to help. The support you get from your family can be invaluable. Your family sometimes knows you better than you know yourself, and they can see through some poor career choices that you may be way too close to. Never be afraid to reach out to your family for advice; even if that means mending a few bridges from some old disputes. This can be split into two categories. First, there are the people who run volunteer organizations. From helping feed the homeless and caring for abandoned pets, to building affordable homes and caring for local parks, your state will have many ways to volunteer. 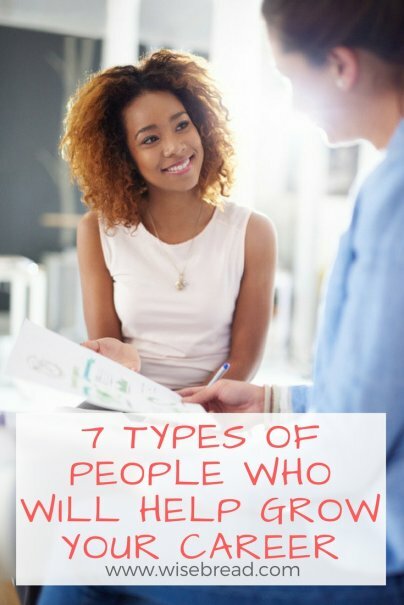 Not only will you be doing good, but the people who run these organizations will have access to a network of people that may help you in your career. Anyone can become a mentor. It could be a boss, a work colleague, a friend, a complete stranger you meet in a bar, or even your neighbor. It's not about who they are, but what they have to offer. Most of the time, this will be someone that has already been down the road you have chosen to travel, and can give you invaluable advice. It could also be someone from a completely different industry or background, but with an outlook and energy that gets you motivated to do better, and go further. Mentors are everywhere; you just have to be ready to answer when opportunity knocks.